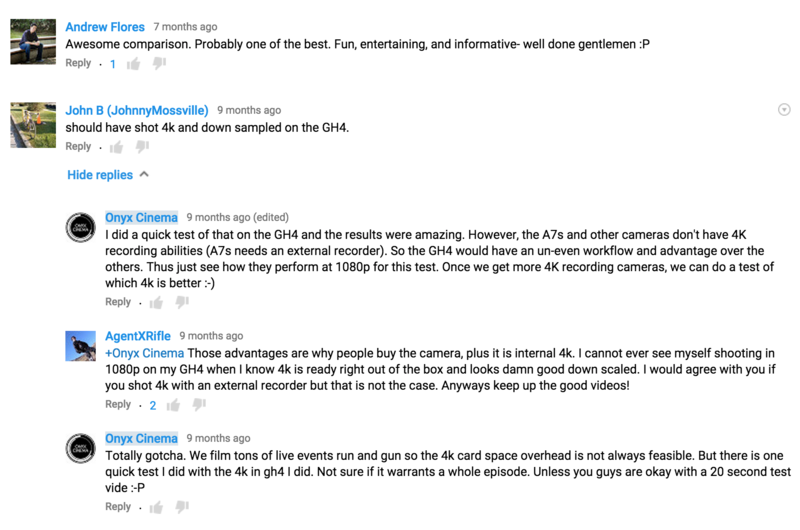 Sony A7s vs. GH4 vs. C100 vs. 5D Mark III Camera Test | Onyx Cinema, Inc. Cheers to many more fun learning! Here are some comments on our series and thank you all for the awesome discussions we’ve read in your comments. You can check out our Part I, Part II, and Part III videos. Special thanks to Colin Pregent for making this possible!